Along with Dietscher, a salesman for Universal Restoration was arrested. The significance of this is that the salesman used to work for Dietscher's side business. On top of that, Universal Restoration was given a no bid contract for the clean up of the courthouse. It's starting to look like they were cleaning up more than just the courthouse. Another burning question - excuse the pun - is whether Dietscher and his buddy got a couple of those fancy "Courthouse Proud" t-shirts. After all, per Abele's spokesperson, Brenda Conway, one had to "earn" those shirts. From 2009 to 2013, Dietscher nearly always chose the same restoration contractor, Belfor USA. In return, Belfor made sure Diestcher got work done on his own house, fishing and hunting trips, expensive dinners, $1,300 worth of tools and other kickbacks. A Belfor official referred to Dietscher as "a high maintenance guy." The complaint describes an incident in which Dietscher asked a Belfor employee about removing some trees that were growing into Dietscher's father's garage in Big Bend. The job was too big for the Belfor employee, so he hired another firm. The work cost $2,500. The Belfor employee told investigators that Dietscher asked that it be a favor. When the Belfor employee said he couldn't absorb such a cost, Dietscher later paid him in $50 bills, and the $3,500 billed to the county by Belfor — more than the actual cost of the work — was billed as work supposedly done by Dietscher's own roofing company at a county park. The bill was meant to cover the cost of the tree trimming. That incident was listed as the probable cause for Dietscher's arrest in February, and is the basis for one of the bribery counts in the complaint. The two counts of false swearing and two counts of official misconduct-false entry in the complaint refer to "statements of economic interests" that Dietscher, as part of his position, was required to file annually with the county. The complaint says that statements for the years 2011 and 2013 failed to list gifts he'd received from Belfor, including the tools and several expensive dinners as well as hunting trips with meals and alcohol. The fact that Dietscher started taking his graft during the time that Walker was county executive isn't very surprising. It was pretty much par for the course for Walker's people - not to mention Walker himself - to be on the take. What is notable is that Boss Abele didn't appear to be too outraged about it either. He not only promoted Dietscher twice despite the graft, but also allowed Dietscher to keep earning a salary while he was suspended. 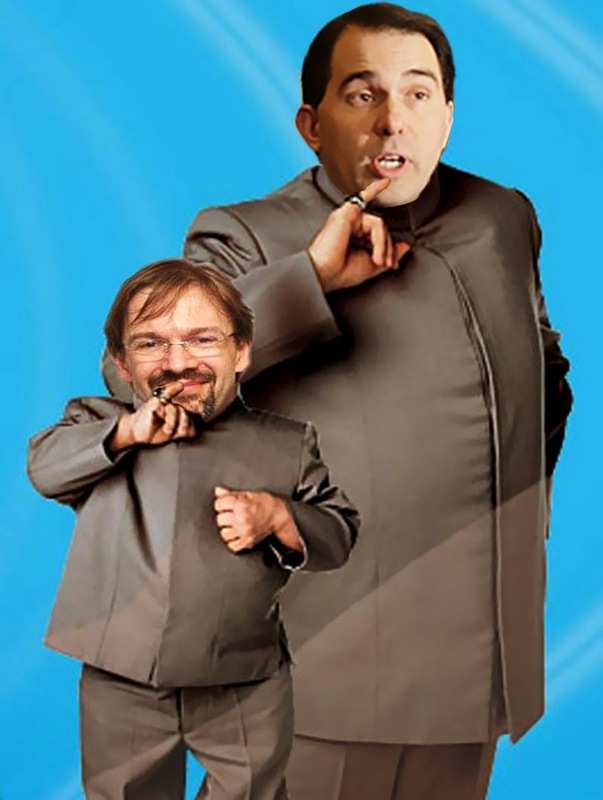 Again, this shouldn't surprise anyone either, given the eerie similarities between Walker and Abele. This is worth remembering this this fall when the citizens have a chance to choose whether they want this type of corruption to continue or if they want a county administrator that can be held accountable. I have been saying for a long, long time that it is time to do something about the corruption in the county executive's office.